Guild Wars 2>News>Share Stories of Legendary Friendship and Love! Share Stories of Legendary Friendship and Love! Last Friday, we asked you to tell us your most memorable stories about your adventures with friends and loved ones in Guild Wars 2. Now, using the magic of friendship (and hashtags), we’re collecting them on a dedicated web page for everyone to see! Visit the Friend/Ships site to check out the posts submitted so far. 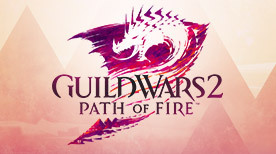 In the coming weeks, we’ll also shine a light on some awesome community members whose adventures together in Guild Wars 2 led to real-world connections and bonds. Inspired to share your own story? 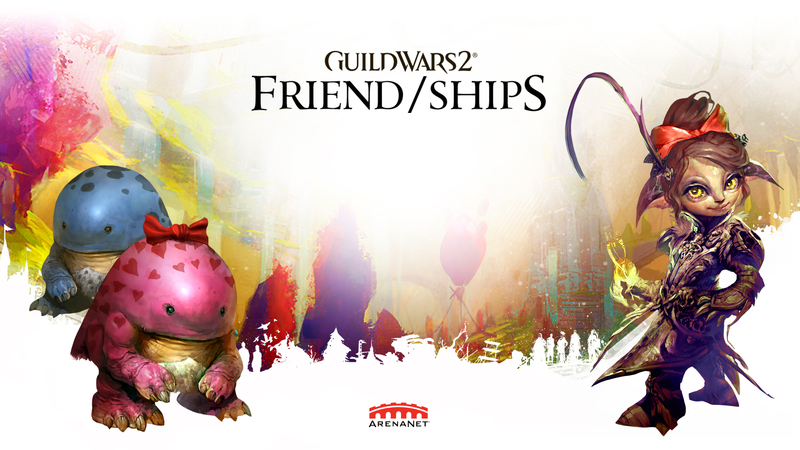 Create a post on YouTube, Twitter, Instagram, Tumblr, or Facebook, and include the hashtag #GW2FriendShips (if you’re using Facebook, please share your story as a new post on our official Facebook page, and not as a reply to any of our posts—otherwise, the site won’t catch them). Tagged posts will appear on the Friend/Ships site almost automagically—we’ll check to make sure posts are on-topic and that they follow our rules of conduct before they go up. Please see the official rules and regulations for more details. 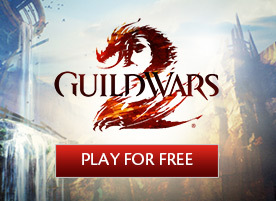 Log in to Guild Wars 2 and visit the city of Lion’s Arch between today through the end of February, then check your mail for a token of friendship from all of us here at the studio. 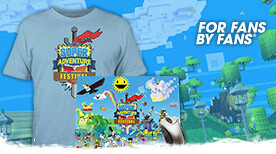 There’s nothing cooler than getting to make games for our friends!